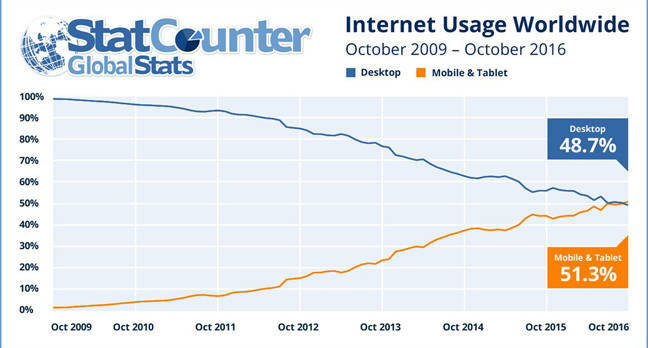 In something of a sign of the times, smartphone and tablet traffic has overtaken desktop web browsers. According to StatCounter, in October mobile and tablet data accounted for 51.3 per cent of internet usage worldwide whereas desktop traffic was just 48.7 per cent. We're kinda surprised it hasn't happened already.